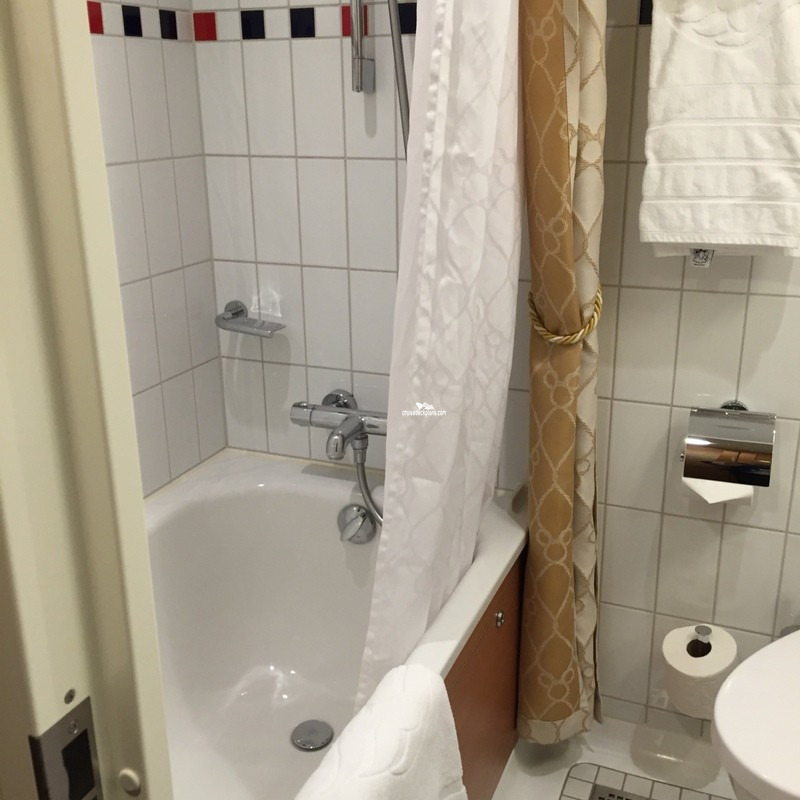 - Couch, chair, privacy curtain. 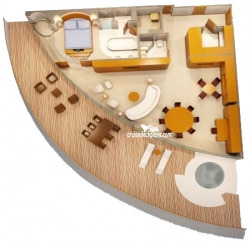 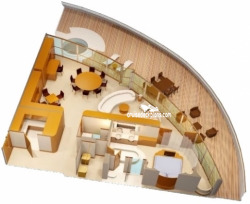 Suite ranges from 887 to 898 square feet excluding verandah. 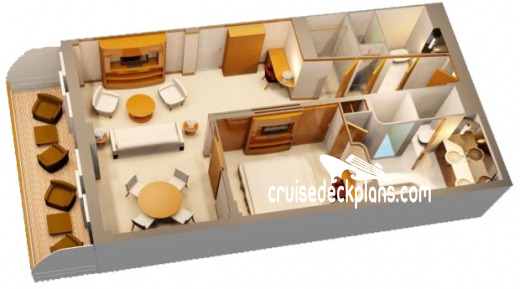 Verandah is over 100 square feet. 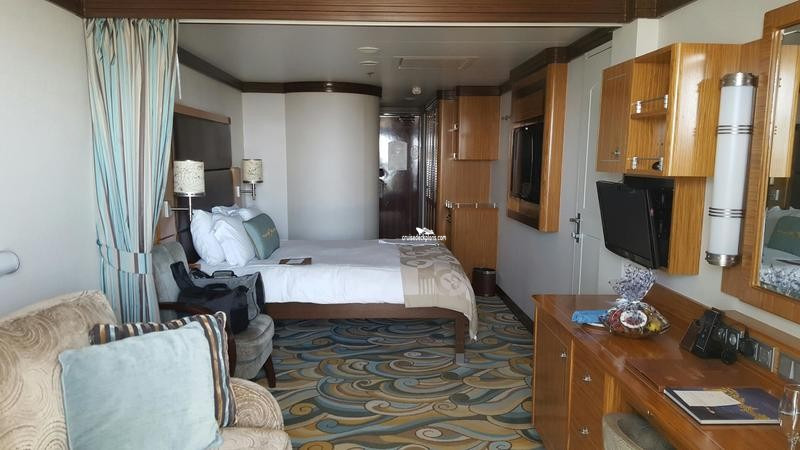 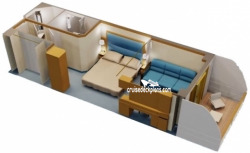 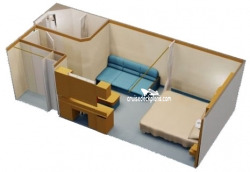 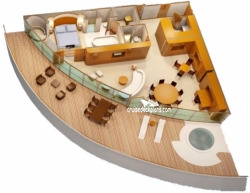 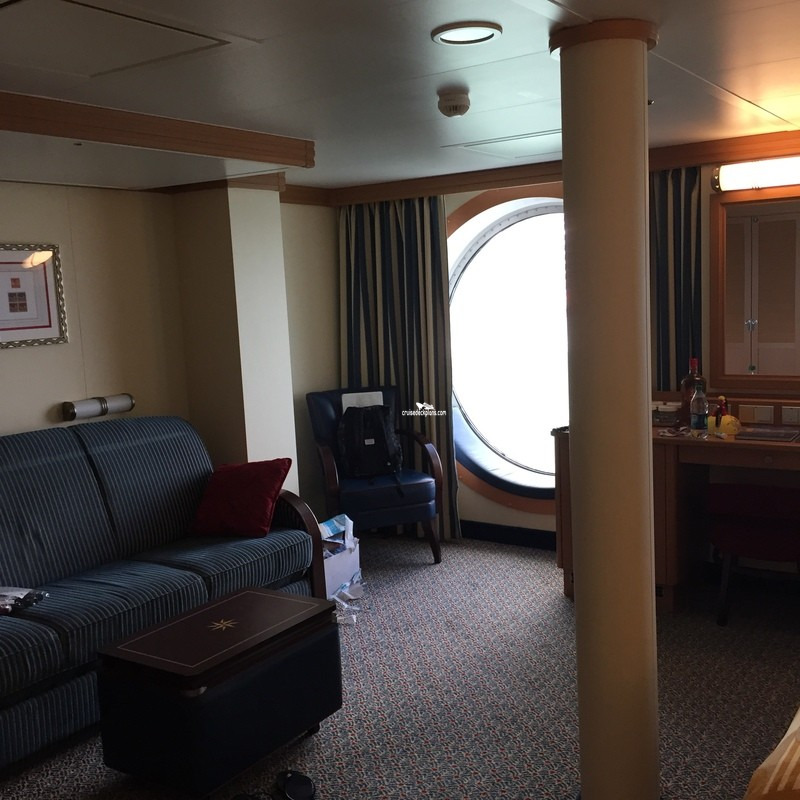 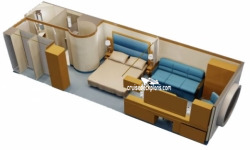 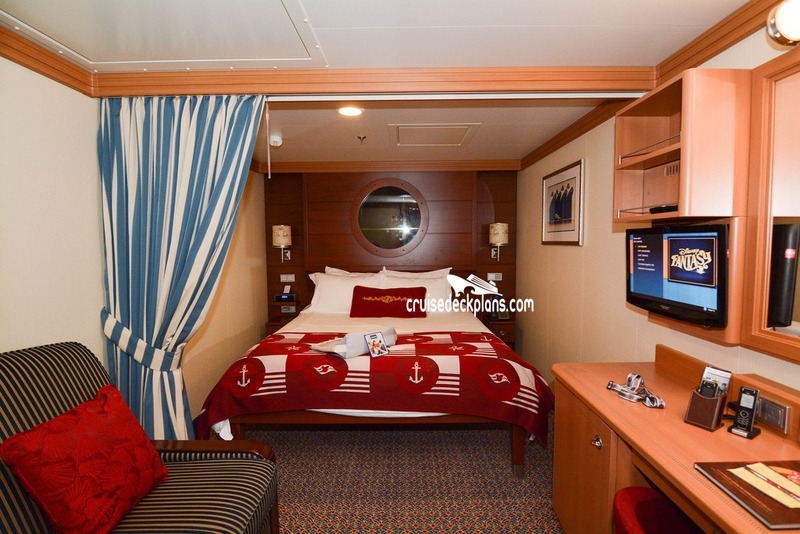 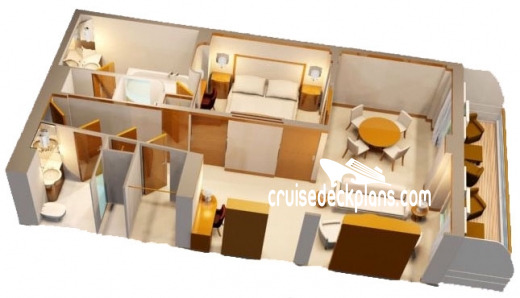 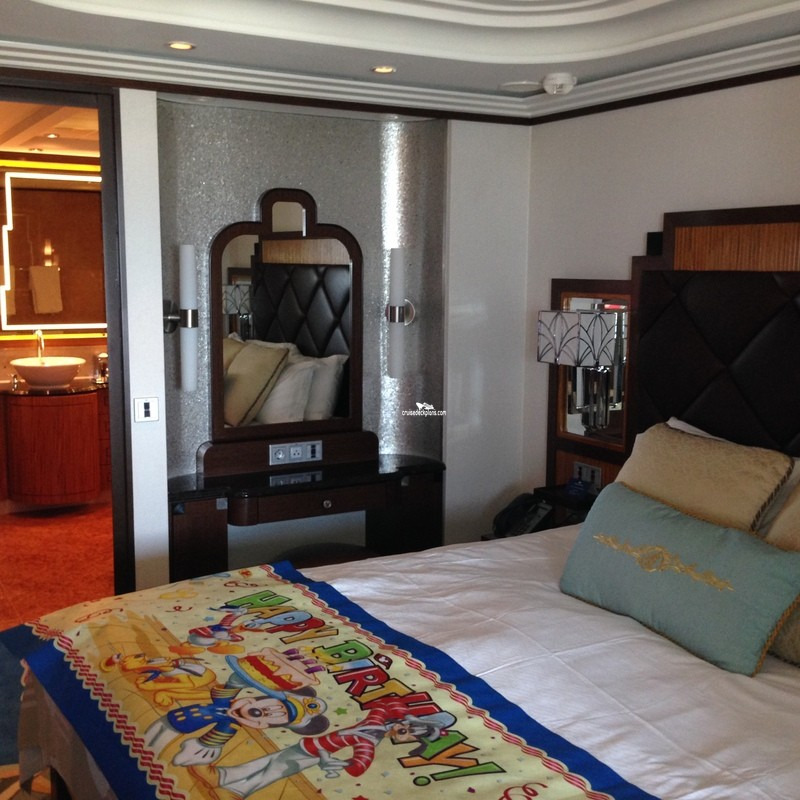 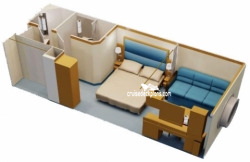 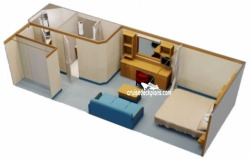 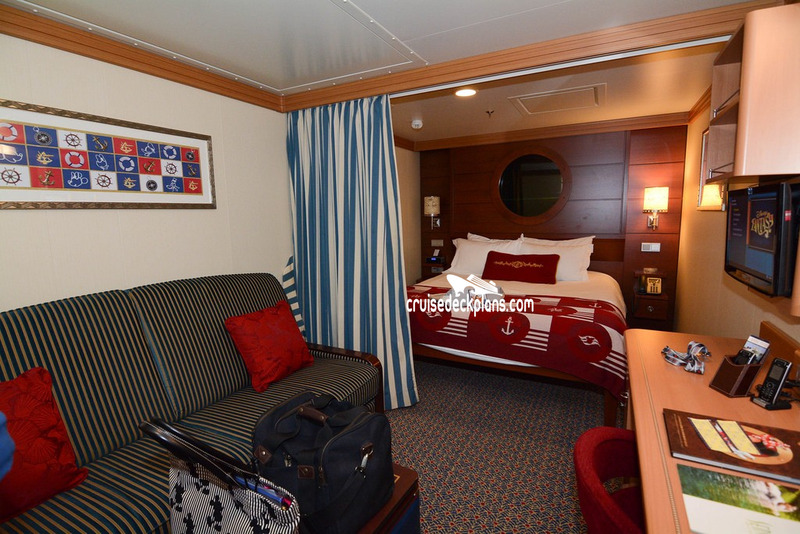 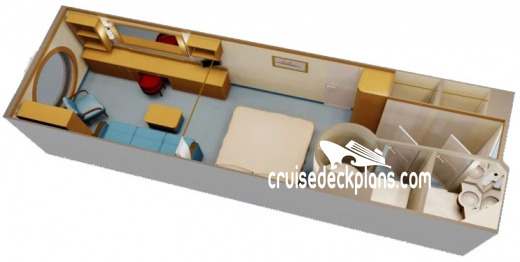 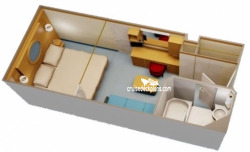 Amenities also include slippers, daily treats in stateroom, and storage under the beds for suitcases. 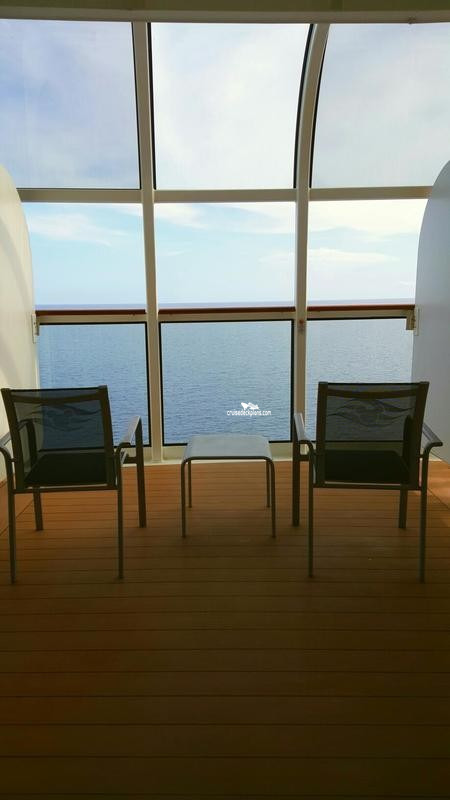 Enhanced line of H20 Plus spa products include: Sea Marine shampoo, Marine Collagen conditioner, Hydrating Body Butter. 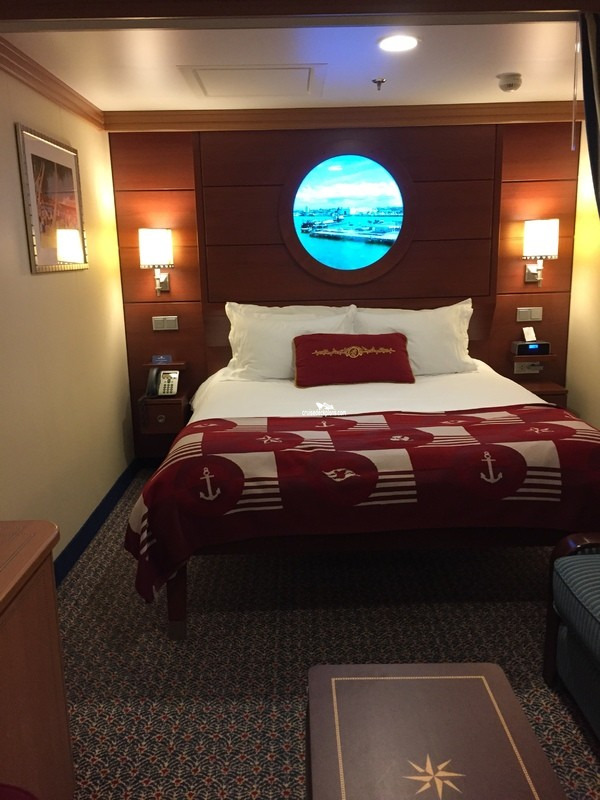 Sleeps: 4 to 5. 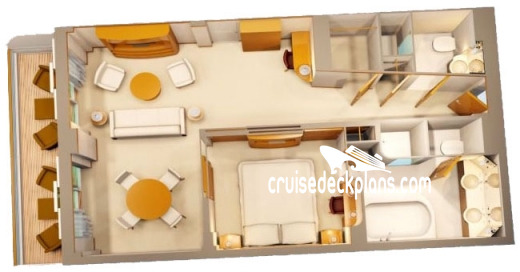 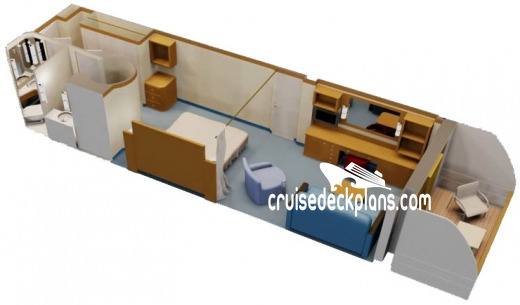 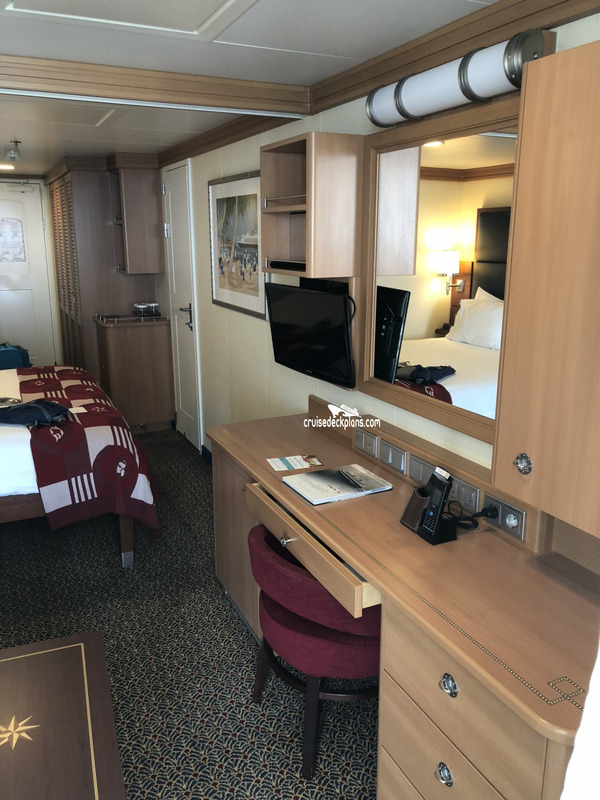 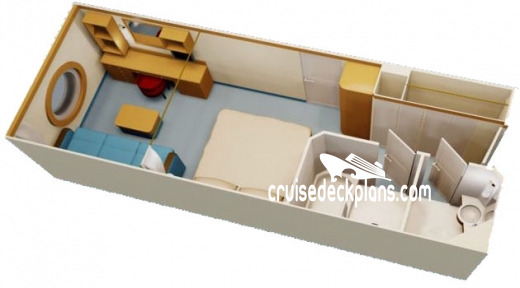 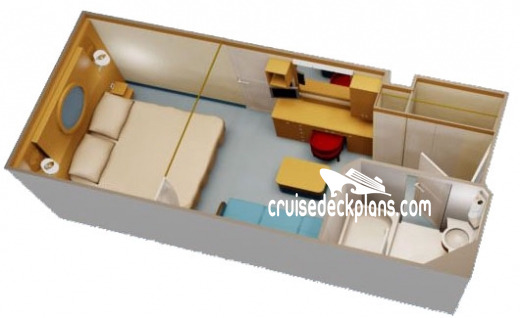 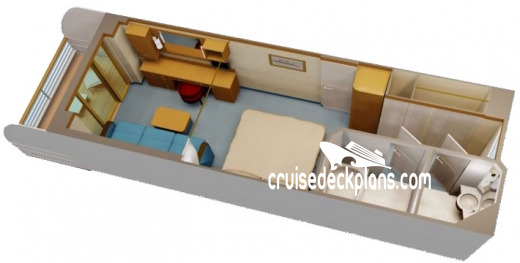 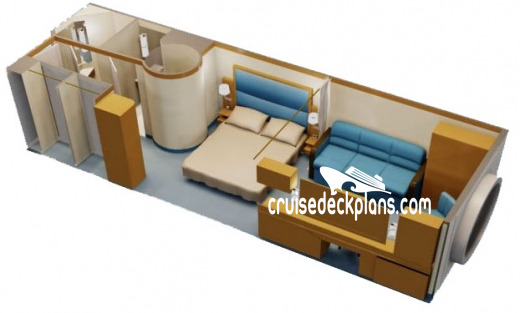 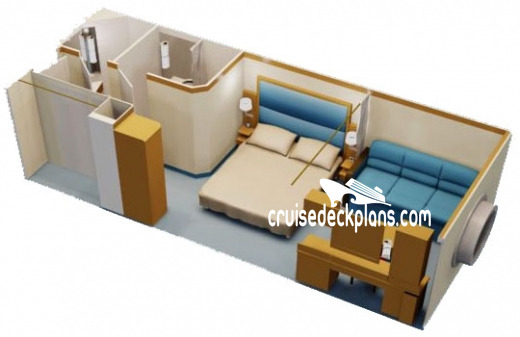 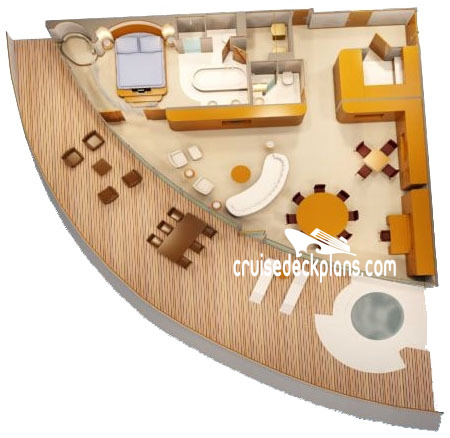 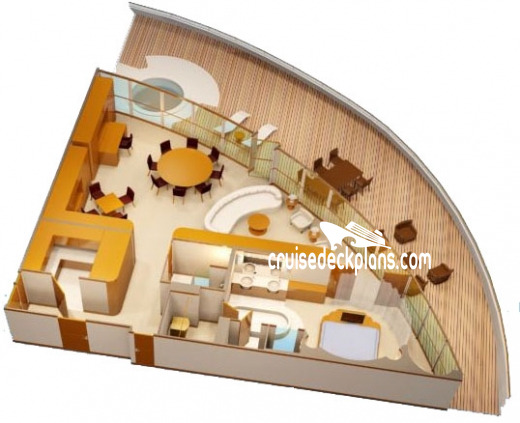 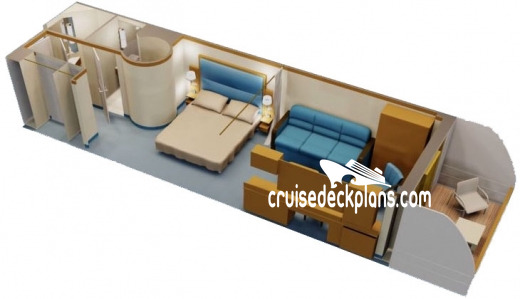 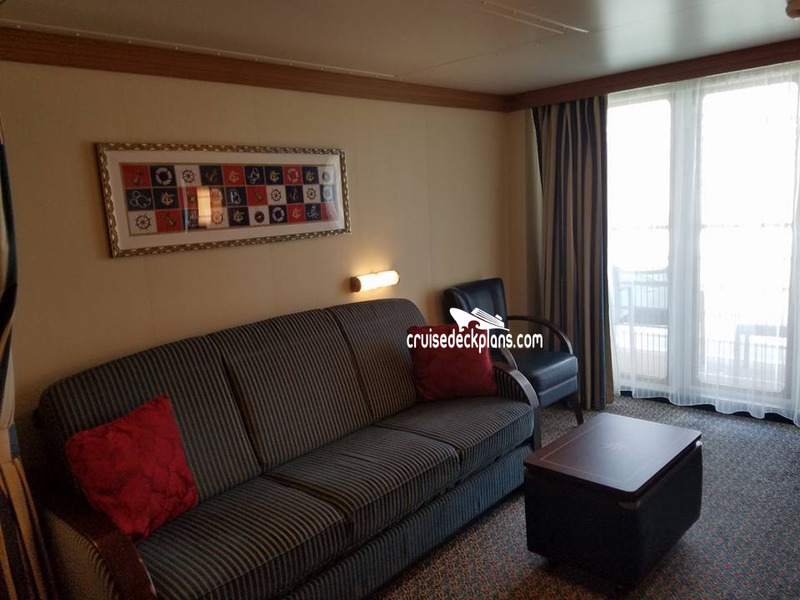 Deck 5 category 4E Staterooms are 203 square feet and have expanded balconies that are twice as big as normal balconies and open to the views from above. 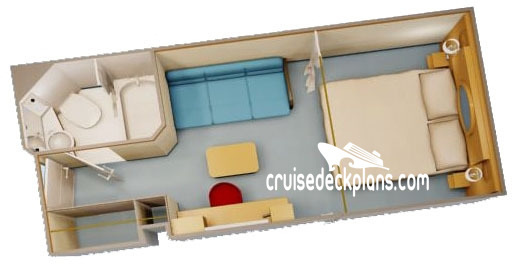 Amenities also include slippers, daily treats in stateroom, and storage under the beds for suitcases. 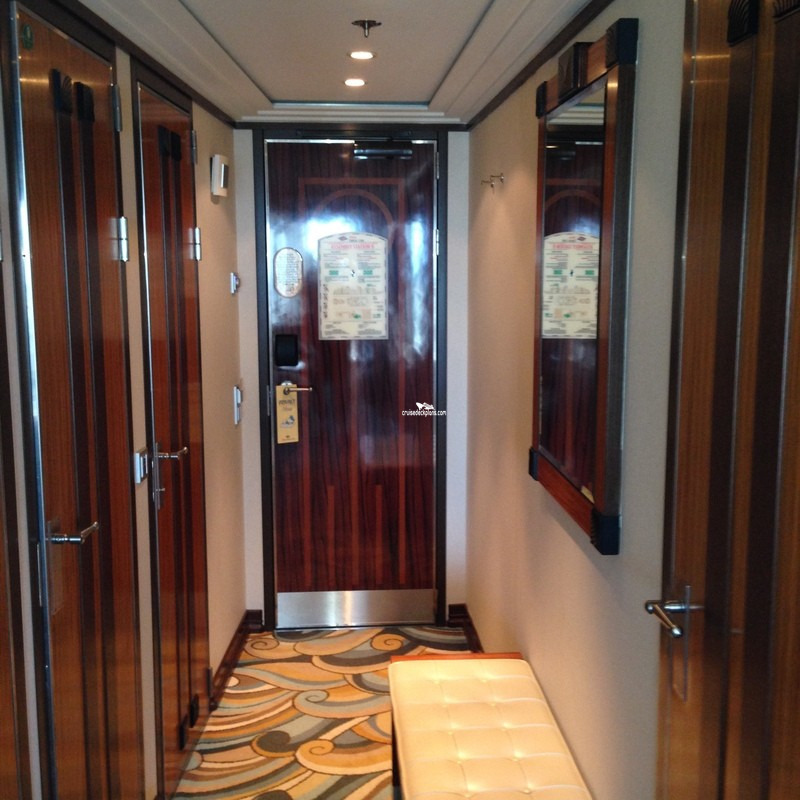 Enhanced line of H20 Plus spa products include: Sea Marine shampoo, Marine Collagen conditioner, Hydrating Body Butter. 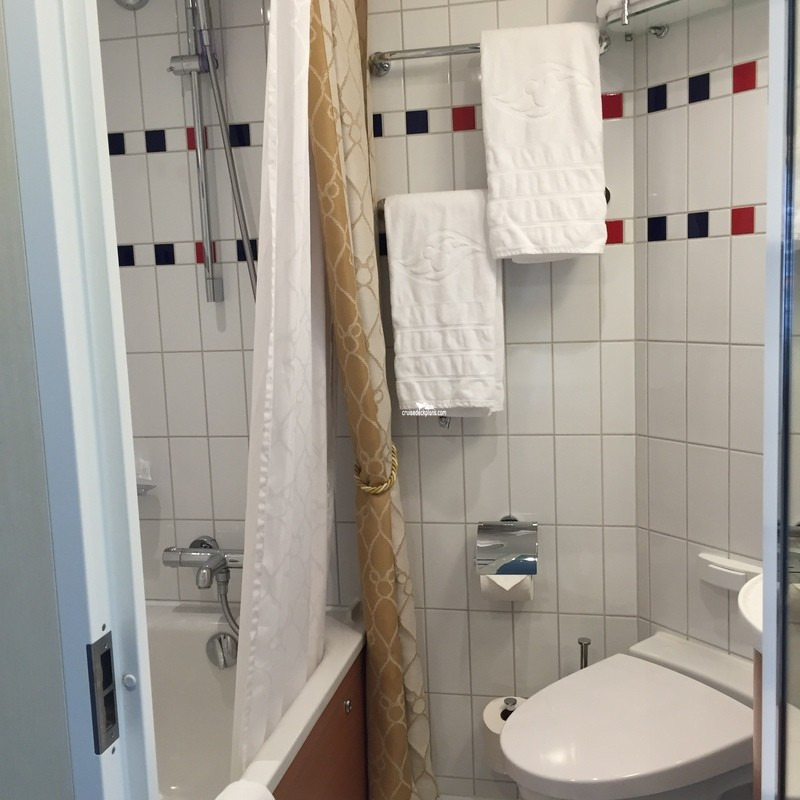 One bathroom includes vanity, sink and full tub/shower, while the half bath has vanity, sink and toilet. 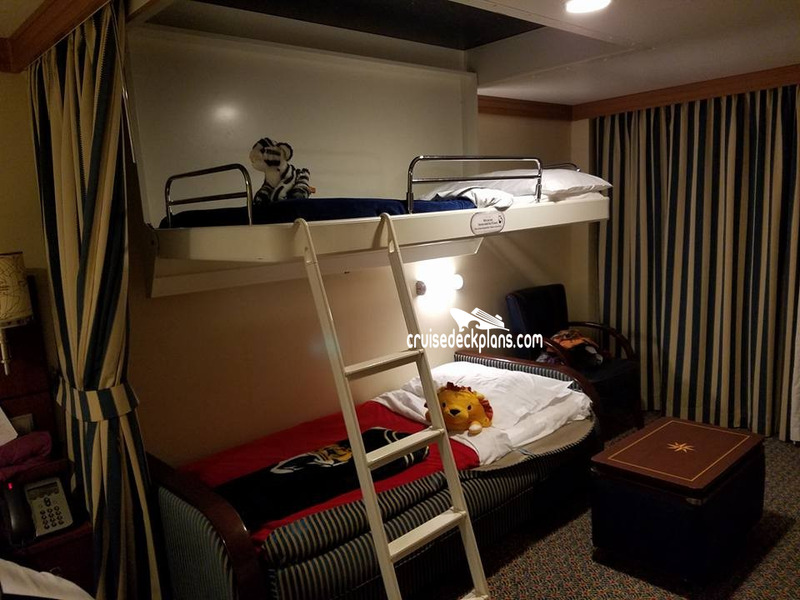 Sleeps: 3 or 4. 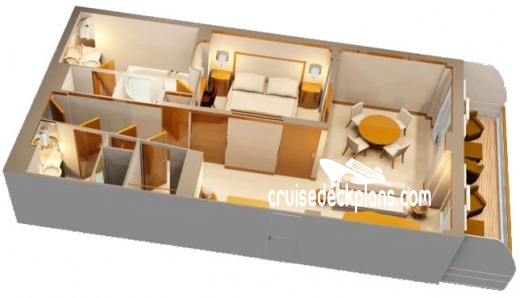 Category 6A and 6B has whitewall verandahs, category 5A - 5E has plexiglass. 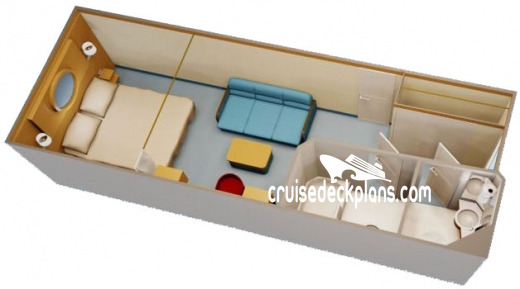 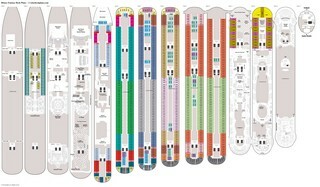 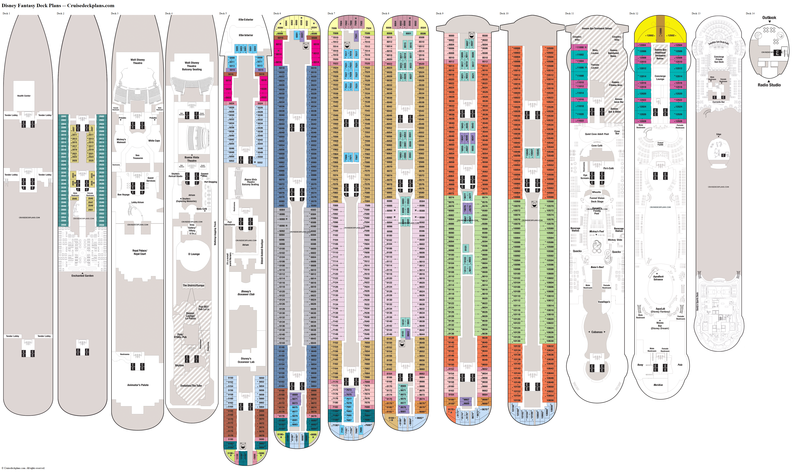 Deck 5 cabins 5188 and 5688 aft balconies are very small and triangle shapped. 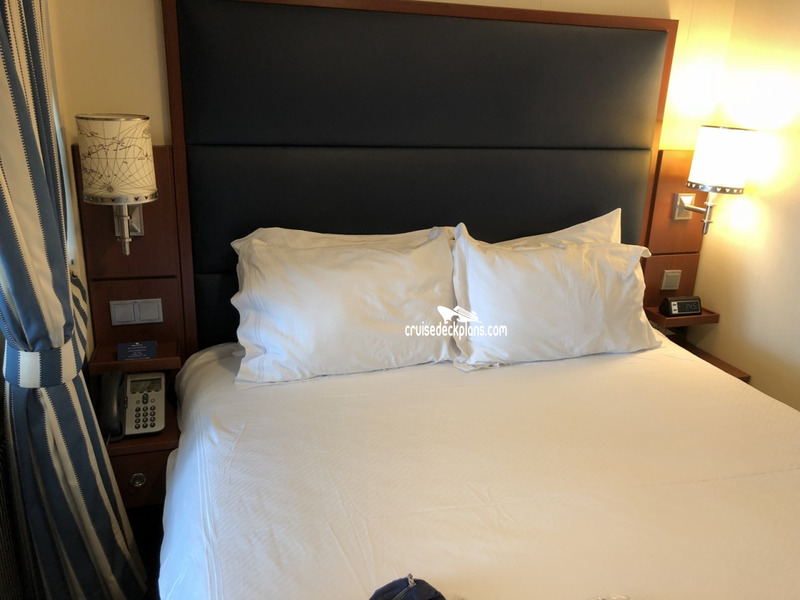 Sleeps: 3 to 5 Category 8A is the larger of these categories.